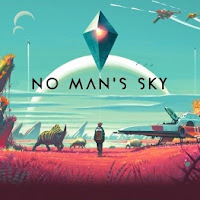 No Man's Sky is an action, survival and adventure video game created by Hello Games for PC and PS4. The game brings incredibly beautiful graphics, and on each planet you discover new flora and fauna and different life forms. Children will also be the renunciation of loading screens. You must map out your discoveries, transmit data and search new life beings and resources. This is very important, because only then you can pursue your status and collect trophies and achievements. Overall, you can unlock 23 trophies in No Man's Sky. Among them are 1 Platinum Trophy, 6 Bronze Trophies, 8 Silver Trophies and also 8 Gold Trophies, which are important for PS4 players. To achieve success, you have to carry out certain actions. Almost all Trophies ask you that to achieve the highest status in a particular field of research. The Trophies and Achievements list in No Man's Sky. Darkly - Achieve "Naturalist" status in "Uploaded discoveries". Stars like dust - Achieve "Trailblazer" status in "space exploration". Foundation - Achieve "Entrepreneur" status in "got Longest Units". Babel-17 - Achieve "Confused" status in "Words Collected". Contact - Achieve "known" status in "Alien Colonist encounters". Use of weapons - Achieve "Novice" status in "ships destroyed ". The Star Beast - Achieve "archivist" status in "Uploaded discoveries". The Longest Voyage - Achieve "pioneer" status in "space exploration". The Space Merchants - Achieve "trader" status in "Most Units Accrued". The Languages of Pao - Achieve "Interpreter" status in "Words Collected". Who Goes There? - Achieve "diplomat" status in "Alien Colonist encounters". Pattern for Conquest - Achieve "Notorious" status in "Ships Destroyed ". Stranger in a Strange Land - Achieve "Robust" status in "Longest lifespan". Symphony for a Lost Travelers - Achieve "Nomade" status in "on-foot exploring." Galapagos - Achieve "Encyclopedia" status in "Uploaded discoveries". Space Odyssey - Achieve "discoverer" status in "space Exploration". The Diamond Age - Achieve "Magnat" status in "Most Units Accrued". Citizen of the Galaxy - Achieve "Babelfish" status in "Collected Words". What Mad Universe - Achieve "Ambassador" status in "Alien Colonist Encounters". The Forever War - Achieve "Legend" status in "Ships Destroyed". The Sentinel - Achieve "Everlasting" status in "Longest Lifespan". Have Spacesuit - Will Travel - Achieve "adventurer" status in "On Foot Exploration."